Madrid´s stars gathered in Paris on Monday, dressed in shiny black suits and bow-ties, to watch their midfield magician collect the Ballon d´Or, ahead of Lionel Messi and Cristiano Ronaldo. "He is at his peak," Real coach Santiago Solari said. "That makes it even more beautiful." From the Grand Palais on the Champs-Elysees, they head this weekend to northern Spain and Alcoraz, Huesca's recently-expanded stadium with a capacity of just over 7,000, in a town of little more than 52,000 people. "When I came here, it was not the main objective to go up to the top flight but we did it," Gallar said. "It was a very good decision to come here." One of his three goals this term came against Barcelona at the Camp Nou. Huesca scored twice there, including the opener, but Barca finished with eight. 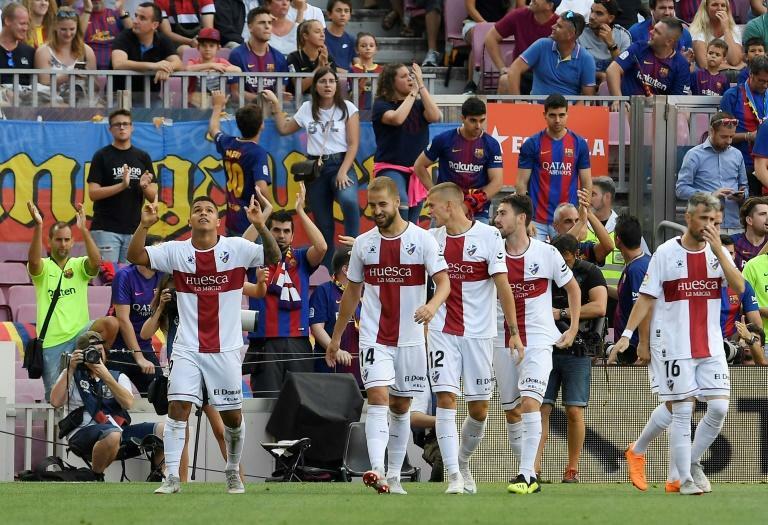 This, though, will be Huesca´s first time hosting either of Spain´s two grandees and a chance for the fans to ponder on how far their team has come. "We have seen people are behind us despite the results and pushes us to turn it around," Francisco said last week. "Our home has to be a fortress." In the summer of 2013, Real Madrid bought Gareth Bale for a world record 100 million euros while Huesca signed seven players, all for nothing. Madrid are in good form and Bale, again, has a point to prove. He came off in the second half of last weekend´s win over Valencia, rubbing his thigh, while Santiago Solari said afterwards he was "exhausted". "Bale is working well," Solari said on Wednesday. "He's fine." Real's victory over Valencia, on the back of beating Roma in Italy, means the 3-0 defeat to Eibar following the international break seems more like a blip amid six wins from seven matches. That they remain just about in touch is down to one of the most error-ridden title races in recent memory. Last weekend, Barca, Sevilla, Atletico Madrid and Alaves could all have finished the round in first but only two of the top six managed to win. Barcelona were one of them. On Saturday, Ernesto Valverde's side visit their Catalan rivals Espanyol.